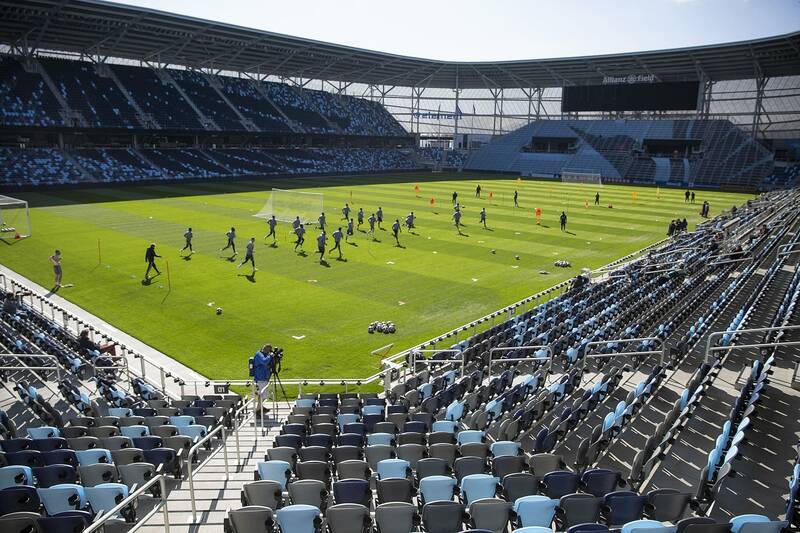 Minnesota United plays its first match at the new Allianz Field in St. Paul this weekend, filled with ambition not just for the team, but for the very ground on which it will play. Minnesota United FC wants "to have the best grass field or one of the best grass fields in the world — not just in our league," said Manny Lagos, the club's sporting director and a former pro player himself. • Transportation: How will soccer fans get to Allianz Field? "I think this stadium is a stage," he said. "We are just excited for our players to step on it and perform." When the Loons play New York City FC on Saturday, they'll take to a custom-built turf soccer pitch. Head groundskeeper Ryan Moy said conversations about how to build the pitch began years ago. Moy comes to soccer from the golf world, after working for a dozen years at Hazeltine National Golf Club in Chaska. He said the soccer field is built using the turf technology developed by the USGA. Perfect grass takes a combination of many things, starting with a system buried almost a foot underground. "We have a hydronic heating system that we can manually control and we can set the root zone temperature. ... Right now, for example, it's set at 65 degrees," he said. "So, underneath your feet right now, although the ambient temperature is — what 40, 45, maybe 50 when the sun is out? This is a constant temperature that this plant is living in at 65." The system is sandwiched in with a subbase of gravel and 10 inches of sand, all designed to help the field drain fast even in the face of those big summer superstorms. 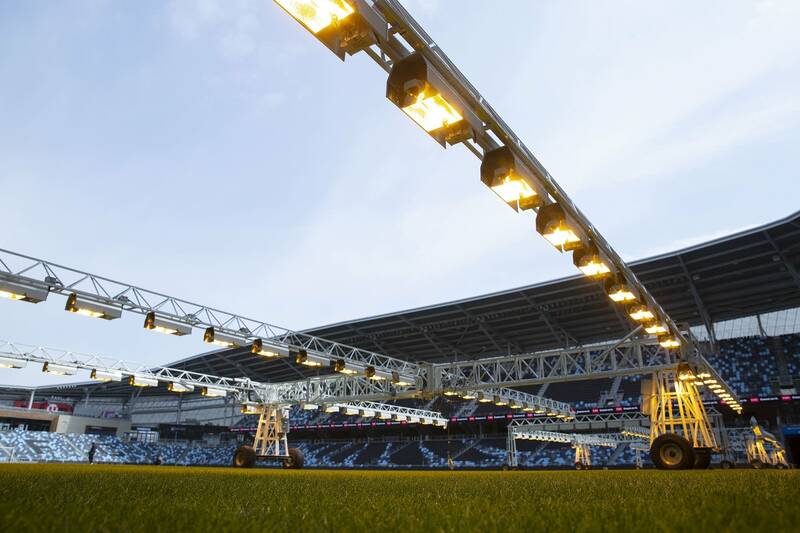 Above ground, an array of grow lights mounted on a mobile gantry stretches the width of the southern end of the field. Allianz Field has a roof over the seats that casts a shadow depending on the sun's position. Moy said the lights even out the growth in the darker areas. Of course, this week's snowstorm is a reminder to Moy that he has to be ready for anything. "We're feeling pretty good, thrown a bit of a curveball here, but we are rolling with the punches," he said. Moy said Allianz Field is also built with snow in mind. The undersoil heating and drainage systems will melt a lot of snow. Moy said they've already been doing that for a couple of months during the winter. "We also have snow-pushers we can attach to our tractors and we can move snow," he said. Moy's not fazed by the storm. He put on a Ryder Cup at Hazeltine. He said this is just another go-around for him and his team. The ongoing challenge is to maintain the turf. 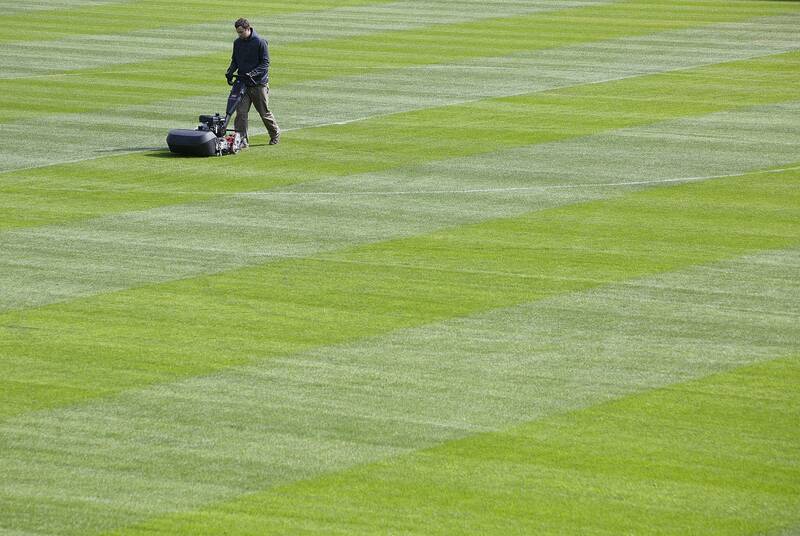 Soccer players love real grass, but games can be hard on it, so there's repair work to be done. And then there's the constant job of keeping the field healthy. The opener is sold out. Allianz Field holds 20,000 seats and there are about 14,500 season ticket holders. Team officials say the remaining 5,500 tickets were gone in 90 seconds.